The Orton is a marvellous oversized bag designed to be made with laundered linen. Although perfectly slouchy and beachy for the summer, we’ve turned our thoughts to Winter and made it using our Expedition Oilskin, a thick robust canvas. Perfect for storing logs by the fire. Instead of ‘self’ handles we have attached leather with rivets for good sturdy carrying. 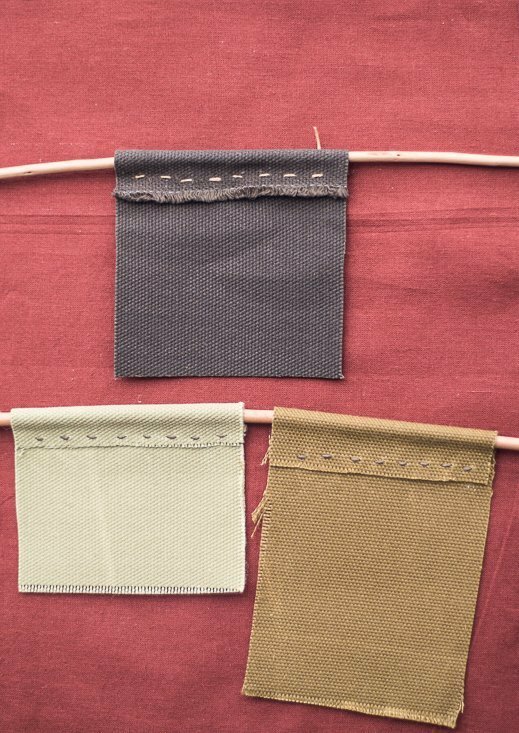 We used 3/4″ veg tan straps which we cut into 2 x 55cm straps. We used x 8 old brass rivets (2 on the end of each strap). The Orton is a free pdf pattern which you can find here. 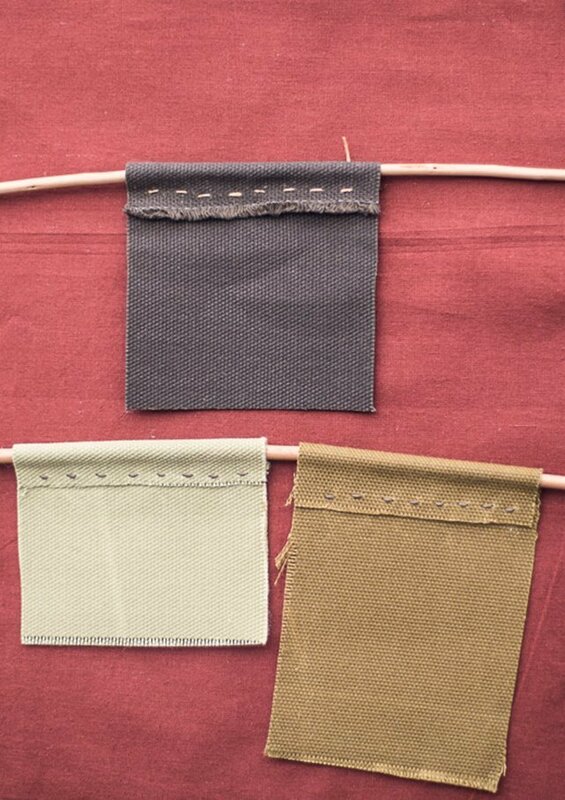 You will need 75cm of 143cm + wide fabric and matching thread. That brings us to the end of our Christmas Makes. We hope we have inspired you to sew some of your presents and you enjoy the making as much as the giving. 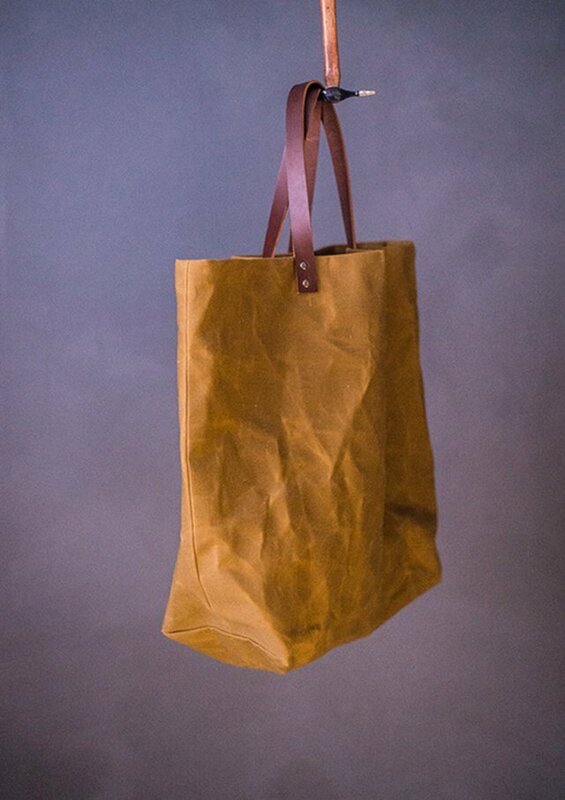 Our Orton Bag is made from Expedition Oilskin in Tan. The Tan shade is currently out of stock, it will return in about 6 weeks along with a new navy and khaki version. We have Coffee, a dark rich brown, and Pond a sludgy green beige shade.